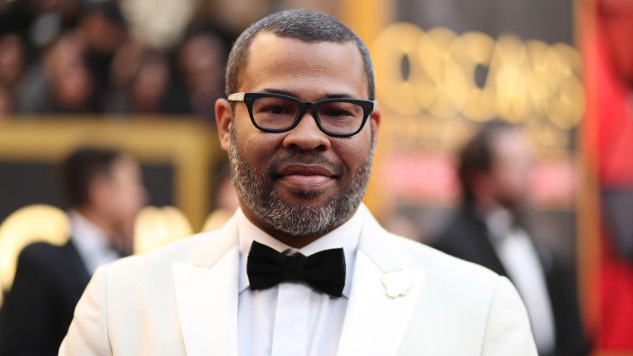 Academy Award winner Jordan Peele is moving from the Sunken Place into The Twilight Zone. The Get Out director was previously announced as a producer on a CBS All Access reboot of the highly influential Rod Serling anthology series, and we now know the filmmaker will also serve as its host and narrator, per Deadline. The streaming service also made an announcement in a video in which Peele delivers the series’ iconic intro. Last December, CBS All Access revealed Peele as one of the executive producers of the forthcoming reboot, and it appears he will be taking on a bigger role in bringing the series to life. “Too many times this year it’s felt we were living in a twilight zone, and I can’t think of a better moment to reintroduce it to modern audiences,” said Peele in a statement at the time. With projects like Get Out and Key & Peele, Peele has become known for his sharp and timely social commentary, which should carry over well into his work on The Twilight Zone. Peele takes over the role from Serling, who was heavily involved in political activism on issues like racism and the Vietnam War throughout his career, and who ran the original series from 1959 to 1964. In 2016, Paste also named The Twilight Zonethe fifth best horror series in television history. CBS Television Studios will produce the new iteration of The Twilight Zone in association with Peele’s Monkeypaw Studios and Simon Kinberg’s Genre Films. Peele and Kinberg serve as executive producers along with Win Rosenfeld, Audrey Chon, Carol Serling, Rick Berg and Greg Yaitanes. The series is set to begin production in fall and will premiere on CBS All Access in 2019, although in the meantime, you can watch the entire original series on the service. No word yet on an episode count or release date for the forthcoming reboot.